Pont Street is a fashionable street in Knightsbridge and Belgravia, central London, England, not far from the Knightsbridge department store Harrods to the north-west. The street crosses Sloane Street in the middle, with Beauchamp Place to the west and Cadogan Place, and Chesham Place, to the east, eventually leading to Belgrave Square. On the west side Hans Place leads off the street to the north and Cadogan Square to the south. The actress Lillie Langtry (1852-1929) lived at 21 Pont Street from 1892 to 1897, recorded since 1980 by a blue plaque. The building became part of the Cadogan Hotel in 1895, but she still stayed in her old bedroom even after this. 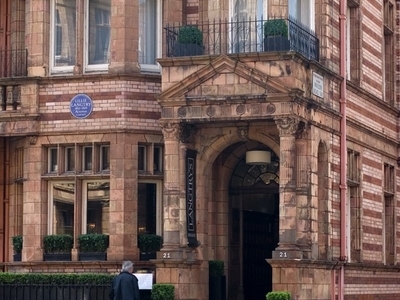 Oscar Wilde was arrested in room number 118 of the Cadogan Hotel on 6 April 1895. 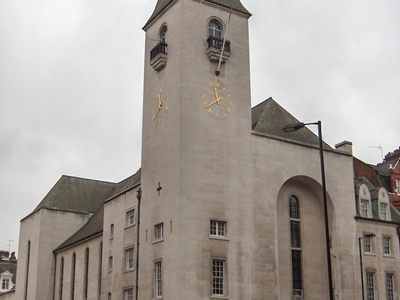 St Columba's Church in Pont Street was designed in the 1950s by the architect Sir Edward Maufe (1883–1974), who also designed the brick Guildford Cathedral. It is one of the two London congregations of the Church of Scotland. The original St Columba's Church building of 1884 was destroyed during the Blitz of World War II on the night of 10 May 1941. Here's the our members favorite photos of "Famous Streets near City of Westminster". Upload your photo of Pont Street!